First project was the Royal Air Force, Bahrain. Build the Aysha Girls School in Manama. Constructed Electrical Grid Systems, Sewage system in Manama and Ground cable laying. ALBA Plant – phase 1 the actual plant itself was built by Nass Contracting; the division carried out further expansion works from Phase 2 until Phase 6. 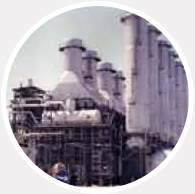 Nass Commercial division started trading industrial equipment’s and products. First mechanical division formed – Nass Mechanical Contracting. Projects carried out were shut down maintenance of Bapco refinery and tank building at the refinery; a major contract was also done for the rebuild and repair of Bapco refinery. Birth of Delmon in JV with Tarmac, the 1st ready-mix service provider in the Gulf. The JV carried out the first housing and infrastructure building works and was also involved in the construction of Bahrain International Airport Apron. Construction of Government house Building for independence now called the Secretarial building. 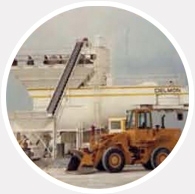 Nass Sand Processing Plant was formed to supply washed building sand to Bahrain's construction industry. The 1st NASS TOWER was build with Michael Angelo Marble as cladding. Today it is the Pension Fund Building. Nass Food was established for Trading and Distribution, Wholesale and Retail of Food items. 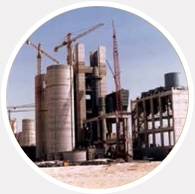 Delmon Precast was established and is one of Bahrain’s foremost precast companies. New divisions - Nass Ice and Water plant and Nass Scaffform Contracting started operations. 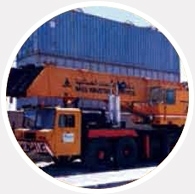 The Group's affiliate office commenced its operation in Kuwait and Saudi Arabia. and now the largest landscaping company in Bahrain. 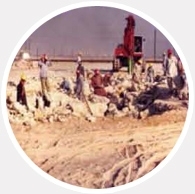 Durrat Al Bahrain – infrastructure, bridges, golf course and marina etc..
Joint Venture with Breamer Golf was formed to provide an extensive and unique blend of skills, industry know-how and experience to provide quality golf course construction. 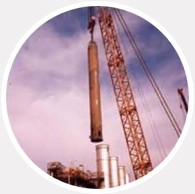 Lube Oil Plant in KSA – Fabrication and Erection. © 2018 Nass Corporation, All Rights Reserved.